In places like Miami Beach or L.A., you can impress people by driving around town in a fancy Italian sports car. But in Texas, a pickup truck is the ultimate status symbol, and perched at the top of the heap is the Ford F-150 Platinum. Forget about your preconceptions about pickups. 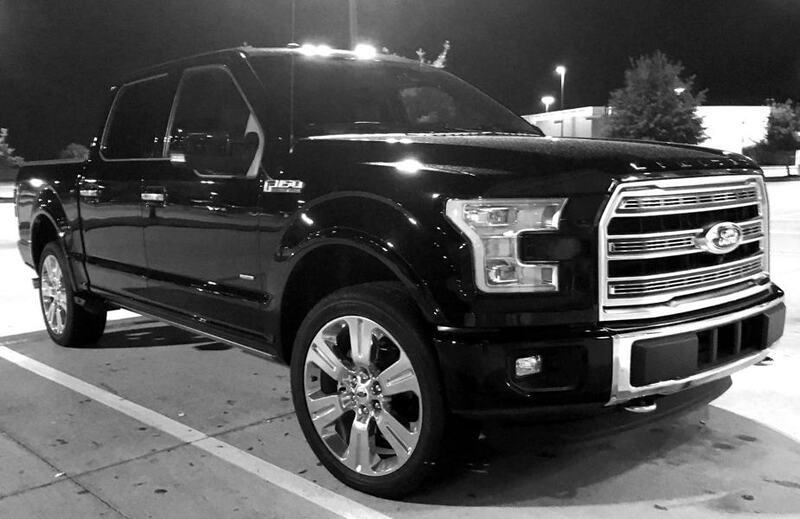 The 2016 Ford F-150 Platinum is a bonafide luxury vehicle. The cabin, for example, is nicer and more comfortable than my first apartment. It has a nice sound system with satellite radio, comfortable Mojave leather seats, and plenty of storage space. If it had a toilet and shower, I might consider selling my house and moving in. The Shadow Black exterior is elegant and classy (even menacing depending on your perspective). To show off this truck’s beauty, I drove it to a $1500 a seat gala. When I pulled up to the valet parking area, I saw a line of high-end vehicles, many of which cost more than my house. The valet who took my vehicle was instantly impressed. “I love this truck,” he said. You can have those Porsches and Benzs. This is my dream vehicle.” I gave the valet and high-five and puffed out a chest a little more as I exited this vehicle in my tuxedo (Note to James Bond: Get a Ford F-150 Platinum. It looks good with Black Tie).